Port Moody is changing from the back water it was in the 40 years ago into one of the trendiest inner suburbs. The upcoming permanent sky train connection to Vancouver is simply the latest and most obvious example but this has been years in the making. The city has created two well designed urban villages (New port Village & Suter Brook) that have among the best connections to park and forest space in metro Vancouver, these spaces, have in turn attracted young professionals to the area which have changed the commercial character of the city. Wheras Port Moody 20 years ago was home to dunkin donuts and soup and sandwich spots artisanal and faux artisanal coffee shops have proliferated. Next came the breweries. now let me be clear not all breweries are created equally, some are better than others, and there are some terrifically bad ones in many suburbs. Port Moody is home to some of the best around with Twin Sails, Yellow Dog and Moody all winning awards in their short lives. Awards aside their success can also be attributed to their local clientele who are among their most important revenue streams. In short the success of breweries suggests a high urban awareness specifically in Port Moody and more broadly the Tri Cities. Even so, the cultural renaissance is far from complete. There are still a dearth of decent restaurants in town, although places like Originals Mexican are bright spots. 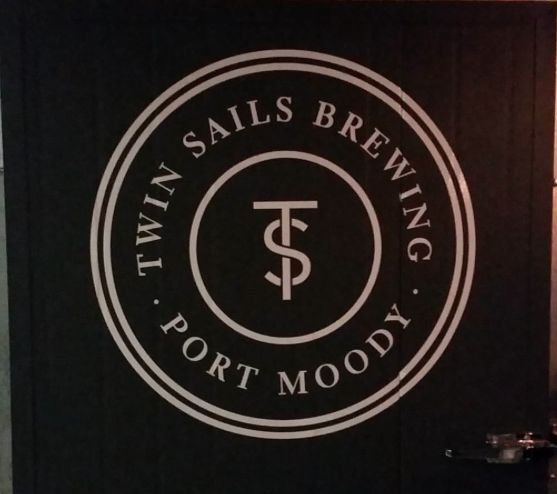 Things maybe changing though as Romers burger bar (despite their poor Yelp reviews) opened their first location outside of Vancouver in Port Moody, and another trendy taco joint (Taps & Tacos) looks to open in Port Moody. Still, quality food is lacking. So what am I getting at? Port Moody is modernizing and most aspects of local society are aware of that, one section that seems to be left behind is art & culture. Most of us are aware that Coquitlam does not yet have a brewery. Despite being a large fairly wealthy suburb current bylaws don’t allow for it. Of course that is changing, council are moving to get in on the BC Beer Boom. In fact I know of at least one planned Brewery project in Coquitlam. Unfortunately that is all I know. With that in mind I thought it might be fun to consider where a brewery might pop up. To my knowledge production Breweries in BC must open in industrial or semi-industrial Zoned areas (I tried to cite this but had major trouble, if anyone can please let me know). According to this document from the city of Coquitlam (whose’ zoning map my computer refuse to open), we see most of the Industrial zoning centred in south coquitlam near the fraser river and number one highway. My best guess is a brewery would open in this area, specifically in the United Boulevard area. This is too bad as breweries are great community builder and there isn’t much community to build here. What I think would be really intriguing is Brewery in Coquitlam’s Downtown area which currently suffers without a focal point or meeting place. Granted there is a crappy pub (Charlie Hamilton’s) and a few restaurants but nothing the really pulls the community together. I personally believe a brewery tasting room could do this, but how? The zoning in the area wouldn’t allow for a production brewery but it might allow for a brew pub. Could we see a Brew-Cafe? A small scale brew pub with light easy to make food fare and a small brewing system to provide beer in house with a small scale growler fill station? It could be very viable and if anyone is interested in pursuing it, drop me a line. Can #BREWardInlet Sustain 4 Breweries? People often ask me how #BREWardInlet could Support 4 Breweries and I often answer the same way. Absolutely yes. Now comes the fun part, how? The first line of questioning is always “Is Port Moody big enough for 4 breweries?” The quick answer is of course not, but its not like any of the 4 breweries will ID you to make sure you live in Port Moody before being allowed to buy beer. In fact they will let anyone from anywhere (as long as they are 19) buy beer! The Population of the tri-cities is around 210,000 (not to mention nearby North Burnaby). Vancouver Proper is around 600,000. So the Tri-Cities is about 1/3 of Vancouver… Vancouver supports 26 breweries (with more to open). By these numbers BREWard Inlet could open 8-9 and still be viable, ok thats not perfect math but i think it really puts to bed there is not enough population argument. These Breweries are not forced to sell their beer in Port Moody or the Tri-cities. Believe it or not but NAFTA didn’t just bring down the tariff barriers between Canada, the United States, and Mexico but also between inter-city beer trade. Thats a lie Inter-city Beer trade has always been cool. What I’m saying is Our local breweries can sell out of their local market. This means they are free to try and sell to whole provincial market of 4 million+… and they already are. Moody has a listing with the Liquor Distribution Branch, Yellow Dog may too. Being with the LDB means that your beer goes province wide as so to does your market. Also lets not forget but these breweries can easily get their beer to any private store in the lower mainland too, that’s somewhere between 2.5-2.75 million people. Rather than give you a rehash of what is already known about Port Moody and #BREWardInlet’s 4th brewery, Parkside brewery. I am going to send you to Vancouver Beer Club who has done the best job of compiling information and simply hope to add some tid-bits of my own. THIS IS THE ARTICLE CLICK IT! That said i can add this has the potential to be a short start up. Word is the brewing equipment exists in storage currently. This is in contrast to many start-ups who spend months waiting for their equipment and months putting it together. The other tid-bit I’ve gotten is this brewery will be much larger than the other 3 in terms of beer production. That is the entirety of what i can add unfortunately. BREWard Inlet grows to 3! Twin Sails is currently open, with 2 beers available now a rye wheat ale Roggenweizen and traditional wheat ale Hefewiezen. By the time the grand opening occurs this friday a Pilsner and Marzen should also be available. I’ve enjoyed all 4 so far and can’t wait until they are readily available. Twin Sails plans to focus on german beers with Dunkel potentially the next thing available. It official though, outside of Vancouver #BREWardInlet is the place for beer. Stuff I Think YOU Should Know! 5? -There might be some residual Moody Ales Pear Kolsch available at pubs like the John B. and Bitter Tasting room. Also available from Moody is another release candidate… this time a Pale ale. Don’t forget Moody’s Wet Hopped beers should be available soon and in several varieties. I’m gonna guess it will be in tasting room only. -Yellow Dog has released two wet hopped beers both better In my opinion than sartori in their tasting room. Get them while the last. – We could see the soft opening of Twin Sails this weekend or next. -THE BIG NEWS! 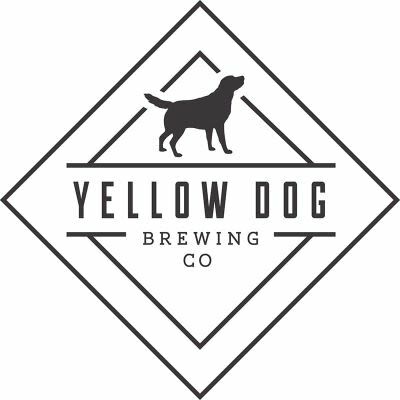 Another brewery is supposedly looking to open in a space in-between Moody Ales and Yellow Dog. Word is this will not be a production brewery but a brew pub operated by a restaurant chain. None of this has been confirmed but rumours are fun.